I don’t think of our extended family as being a “military family,” but as I sat down to write this, I realized that many members of our family served/serve in the military. In Vietnam, my dad ran over a landmine in his A-Cav (a tank) and seriously injured his knee. My husband Matt’s dad also served in Vietnam. My Uncle George served. My brother-in-law Kyle did two tours in Iraq. My cousin Peter is an Army Ranger overseas. My cousin Andy was First Captain his senior year at West Point where he met his wife, also a West Point graduate. My grandfather met my grandmother in Germany, when he was in the Army Air Corp and she worked for the Red Cross on base. Grandpa later served in the Korean conflict. Whether or not we consider ourselves to be military families, all Americans owe a debt of gratitude to the people, past and present, who have defended our country. Unfortunately, the reality in Spokane is that, although our community benefits greatly from having Fairchild Air Force Base here, we are seeing an ugly trend in our real estate market. When a homeowner has multiple offers, the offers from buyers who plan to purchase through VA loans tend to go to the bottom of the pile. One such buyer submitted somewhere around 18 different offers, all good offers, but not one of those was even considered by the sellers. His experiences upset me so much that I thought I’d take some time to debunk the common myths surrounding VA loans and the buyers who use them. Myth #1:VA buyers are not strong buyers. 83% of VA buyers purchase a home AFTER active duty. The median FICO score of a VA buyer is 714. 28% of VA buyers over 25 have at least one bachelor’s degree. (29% of the general population of the US have bachelor’s degrees. The average loan amount for a VA loan is 259,687. Myth #2: VA loans are hard to close. 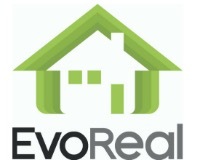 Truth: Lenders love VA loans! The default on VA loans is less than 2%. The coverage for default on Gennie Mae-VA Loans is guaranteed. The bank’s public image improves with every VA loan. Myth #3: VA loans take too long. Truth: The average VA loan takes only 26 days to close. 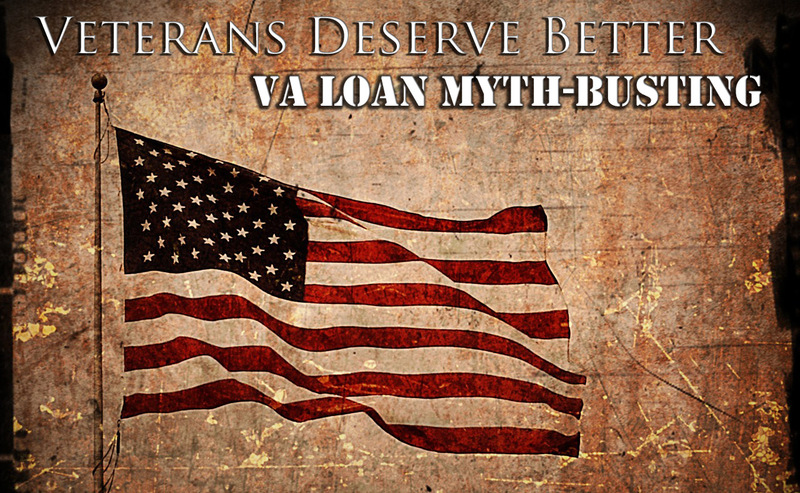 Myth #4:The seller has to pay a bunch of the Veteran’s fees. Truth: Absolutely not. The fees amount to less than $500, and the seller can always raise the purchase price to cover that amount. Myth #5: Appraisals for VA loans are harder. Retired and current military personnel in our own community are suffering because of what I am convinced is poor information. Feel free to forward this to your friends. Let’s get the truth out there so that the people who served, and those who continue to serve, have a fair shake at purchasing a home here. We work hard to help our veterans secure their dream home, call us if you would like help in your home search at 509-62-HOUSE.